reading | this is what I never expected to do. One of my students to me, as I walked into the room: “Your imagination has changed!” It sounds like something out of a strange dream sequence. In fact, he was simply commenting on the fact that instead of wearing my apparently usual dark attire (I tend to wear a lot of black to work, I guess), I was wearing a pink flowery shirt and a light grey skirt, topped off with a high, bouncy ponytail. I’ve thought before of reading Joy Kogawa’s Obasan, but just never did. I started it last night and made a dent in it today on the train to and from Wakayama (travel time equivalent to that between St. Catharines and Toronto). It’s written from the perspective of the Japanese-Canadian narrator, Megumi Naomi Nakane, a Sansei (third generation, the second generation born in Canada). Over the past few years, I’ve been developing an interest in Japanese-Canadian history. Every now and again, I’ll read something relevant. A couple years ago, a collection of poetry from Daphne Marlatt about the Japanese on the West Coast of Canada. Last year, part of David Suzuki’s autobiography, which begins with a couple chapters on the Japanese internment in Canada. At times, I feel quite distanced from what happened to Japanese people in Canada in the first half of the 20th century, but then other times, I think of my family that experienced the internment first hand and it feels, at times, quite immediate. I’ve always thought that it was kinda cool being half Japanese, and I’ve always felt that this was a large part of my identity, but I’d never really considered how important that combination of Japanese and Canadian is. I went to a poetry reading last fall where one of the poets was from Vancouver, and she was a half-Japanese woman, also born and raised in Canada. 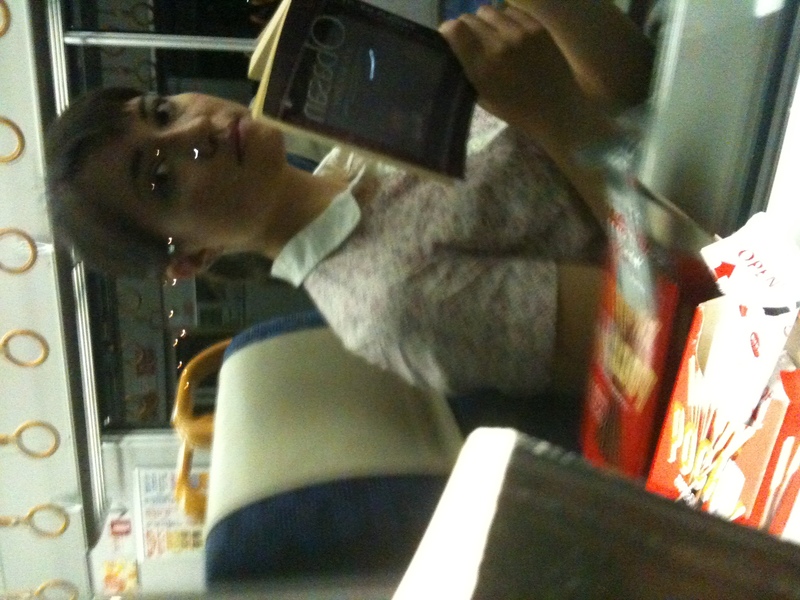 I talked with her after she read and we talked briefly about being half-Japanese. I told her about my intentions to come teach in Japan and she commented that she had often thought of doing the same thing, but felt that it might be strange going to teach English in Japan as a half-Japanese person. So far, my experience has been that many of my students feel closer to me because of my being half-Japanese. Of course, there will be different experiences. Another half-Japanese girl I was talking with the other night said that her family in Japan wasn’t very pleased with a couple of her family members when they married Westerners, and this was sort of evident in their dispositions when she first met them. You are currently browsing entries tagged with reading at this is what I never expected to do. .